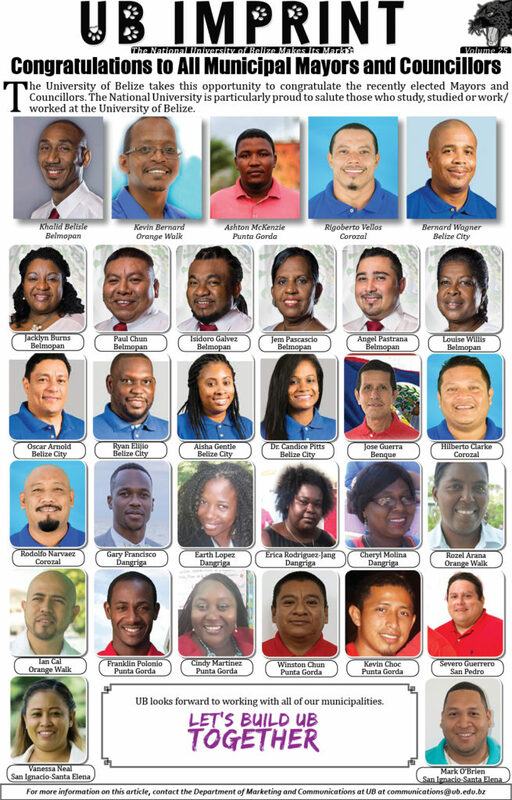 The University of Belize takes this opportunity to congratulate the recently elected Mayors and Councillors. The National University is particularly proud to salute those who study, studied or work/worked at the University of Belize. UB looks forward to working with all of our municipalities.